It seems our Inhabitot writers have been craving some lemon recipes this Spring from lemon bars to lemon cupcakes! Lemon has helped curb my bouts of morning sickness, so I've enjoyed trying many different recipes. What's more - lemons are in season right now. 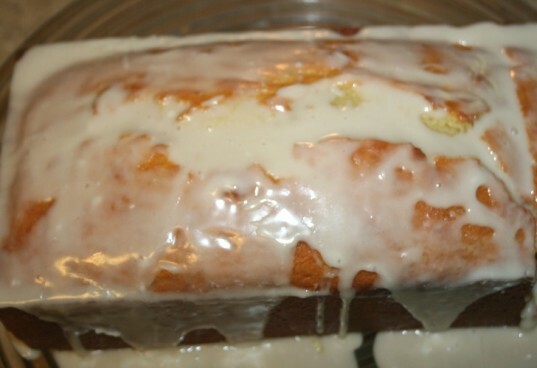 This Organic Lemon Loaf recipe is one of my favorites since it tastes sort of like the Starbucks lemon pound cake - just without as many calories and grams of fat. 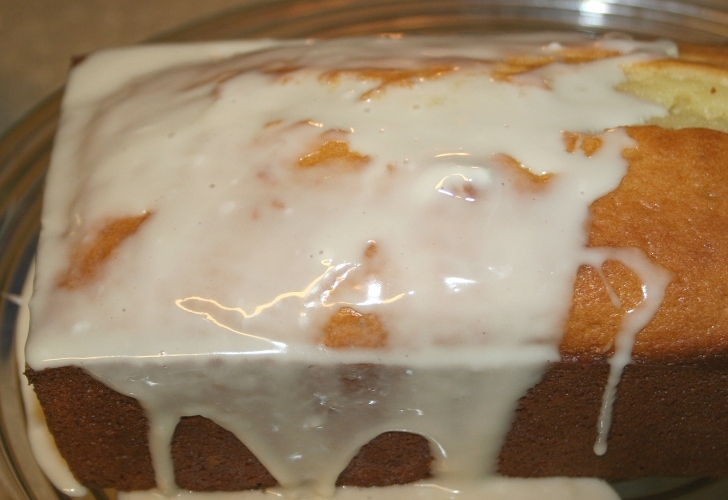 This recipe can be used a cake, as a sweet treat breakfast bread or a devine dessert. You can make it with or without the icing. Keep reading to learn how to make this delicious Organic Lemon Loaf and find printable, one-page instructions here. Using a mixer, cream together your sugar and butter. 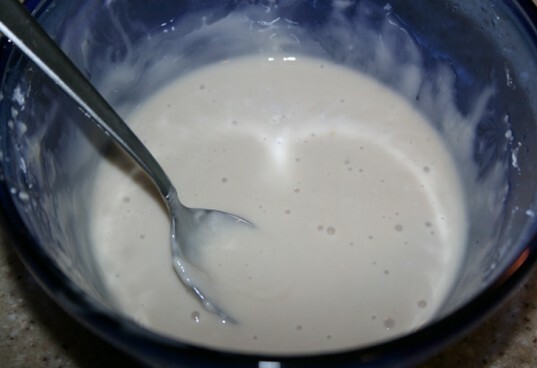 After it is creamed, add the 5 egg yolks and make sure it is thoroughly blended. 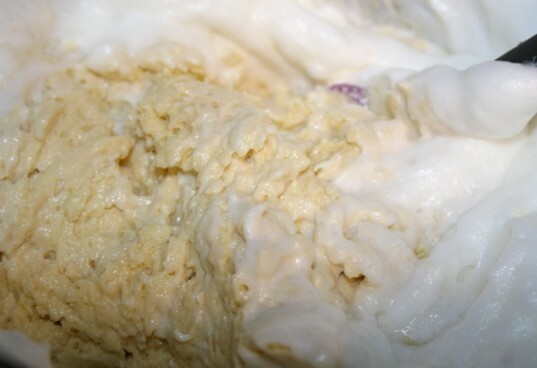 Make sure your Greek yogurt isn’t watery on the top. If it is, blot with a towel. Add the yogurt, lemon zest, 3 teaspoons lemon juice, and vanilla to the mixture and blend. In your measuring cup, add the baking powder and baking soda. Blend with the flour. Then fold your dry ingredients in to the mixture. In a clean, dry bowl add the egg whites and 3 teaspoons of lemon juice. Whisk/beat on a high speed until stiff. 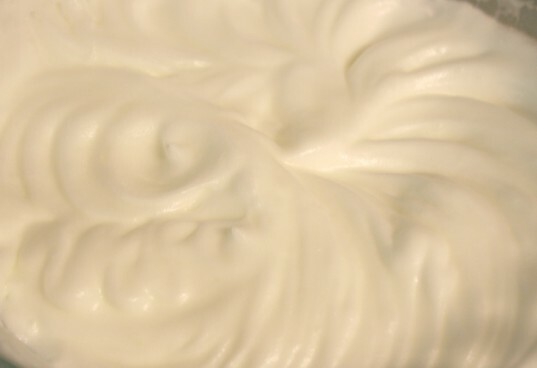 Once your egg whites are stiff, gently fold them into the mixture until they are combined. Grease your large loaf pan or 2 regular sized loaf pans. Pour batter into pan and bake for 50-60 minutes. Test with a tooth pick to make sure the loaf is done. You can eat plain or move on to step 8. Mix 1 cup powder sugar with lemon juice. I freshly squeezed a lemon into the sugar and that was the perfect amount. Then glaze the warm bread with the frosting. It will harden over night. 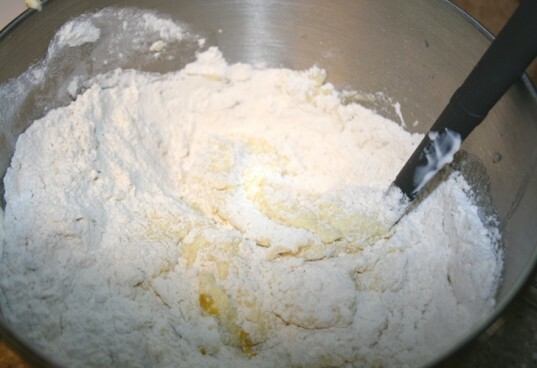 Using a mixer, cream together your sugar and butter. After it is creamed, add the 5 egg yolks and make sure it is thoroughly blended. Make sure your greek yogurt isn’t watery on the top. If it is, blot with a towel. Add the yogurt, lemon zest, 3 teaspoons lemon juice, and vanilla to the mixture and blend. In your measuring cup, add the baking powder and baking soda. Blend with the flour. Then fold your dry ingredients in to the mixture. In a clean, dry bowl add the egg whites and 3 teaspoons of lemon juice. Whisk/beat on a high speed until stiff. Gently fold them into the mixture until they are combined. 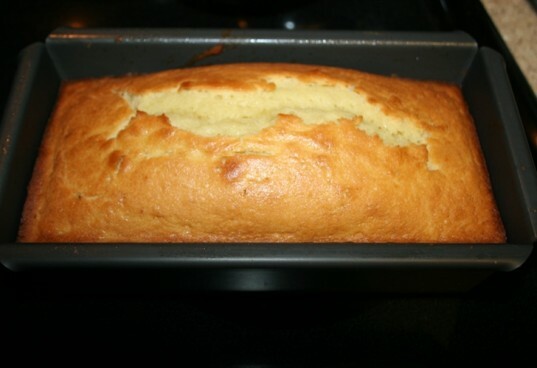 Grease your large loaf pan or 2 regular sized loaf pans. Pour batter into pan and bake for 50-60 minutes. *Optional: Mix 1 cup powder sugar with lemon juice. I freshly squeezed a lemon into the sugar and that was the perfect amount. 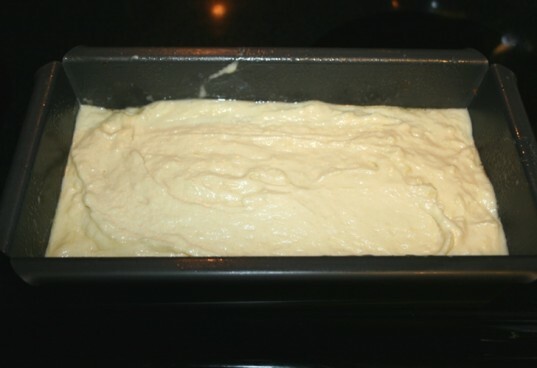 Then glaze the warm bread with the frosting. It will harden over night. Make sure your greek yogurt isn't watery on the top. If it is, blot with a towel. Add the yogurt, lemon zest, 3 teaspoons lemon juice, and vanilla to the mixture and blend. 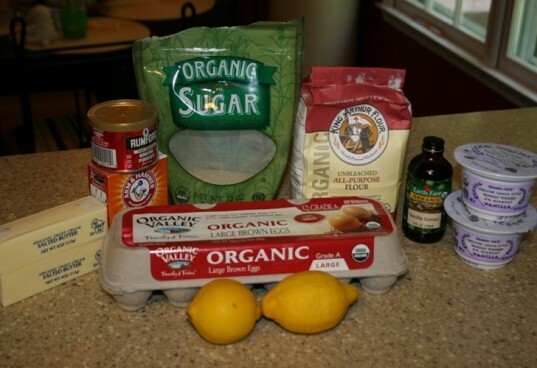 Ingredients 1 cup organic cane sugar 7 ounces salted organic butter at room temp 1 cup organic greek vanilla yogurt 5 organic cage free eggs separated 1 teaspoon organic vanilla extract 3 teaspoons organic lemon zest 6 teaspoons organic lemon juice (3 for batter, 3 for egg whites) 2 teaspoons aluminum free baking powder 1/2 teaspoon baking soda 2 1/4 cup organic all purpose flour Optional icing- 1 cup organic powder sugar and 1 lemon Using a mixer, cream together your sugar and butter. After it is creamed, add the 5 egg yolks and make sure it is thoroughly blended. 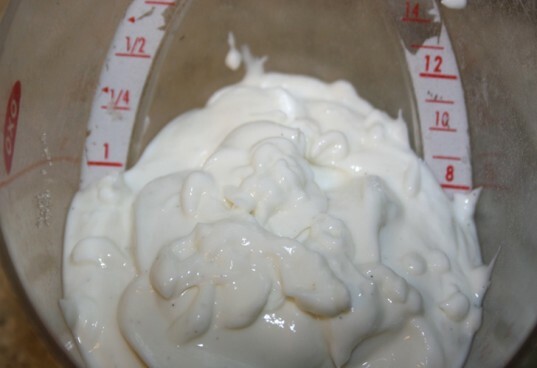 Make sure your greek yogurt isn't watery on the top. If it is, blot with a towel. Add the yogurt, lemon zest, 3 teaspoons lemon juice, and vanilla to the mixture and blend. In your measuring cup, add the baking powder and baking soda. Blend with the flour. Then fold your dry ingredients in to the mixture. In a clean, dry bowl add the egg whites and 3 teaspoons of lemon juice. Whisk/beat on a high speed until stiff. Gently fold them into the mixture until they are combined. Grease your large loaf pan or 2 regular sized loaf pans. Pour batter into pan and bake for 50-60 minutes. *Optional: Mix 1 cup powder sugar with lemon juice. I freshly squeezed a lemon into the sugar and that was the perfect amount. Then glaze the warm bread with the frosting. It will harden over night.